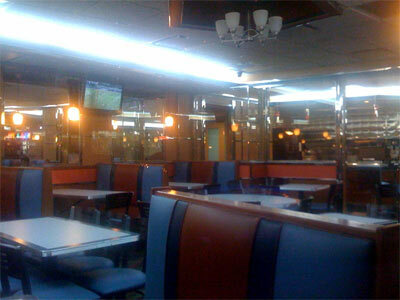 A few months ago I was informed that Kellogg's Diner would be "closed for renovations" by a waiter. Everyone I know in the Burg claims to hate Kellogg's — in fact I've been told about tales of food posing. But the cold hard fact remains that within 11211 there are no other 24 hour diners to be found! Adding to that I've found that "closed for renovations" can often be a polite way of saying "closed for good". One of the reasons for that even if the owners want to change a few things sometimes the lack of cash flow or going over budget with construction can doom a restaurant before it reopens. And making matters even more desperate for yours truly Uncle Mina has retired and his nieces don't like keeping the joint open up late. 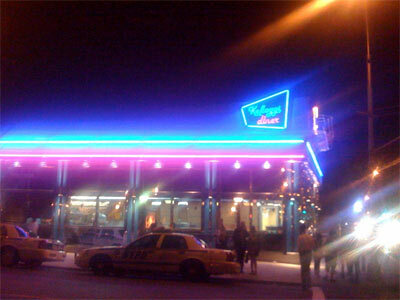 So I've been pretty happy to notice that actual renovations were taking place at Kellogg's Diner. The entire exterior is now gentrified, err "modernized" — that is if you can call a faux 50s exterior modern any more. Gone is the bodega in the back, it was looking like Kellogg's Diner was getting serious even though essentially they are a monopoly as the only place you'll find another 24/7 diner is in Manhattan. So this begged the question: How could they be closed down for health code violations if they didn't have any food in the place? So I did some research and what I read next made me a bit sick. I made the mistake of looking at the last inspection notice for Kellogg's and was a bit shocked (but maybe not surprised) to find out that they didn't close to remodel but were in fact shut down by the DOHMH! This report was from April 9th, 2008. 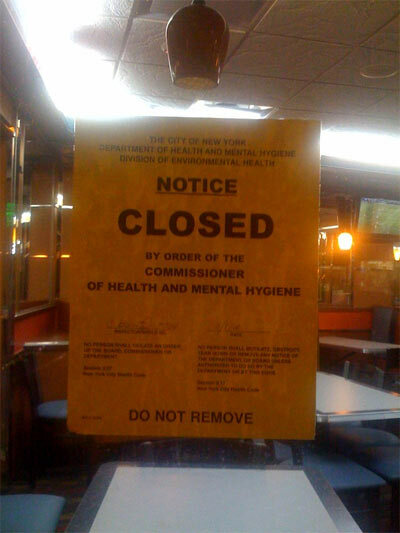 I guess for now my health is safe, but without a 24/7 diner my mental hygiene is hurting a bit. I hope Kellogg's has learned their lesson has has cleaned up their act. This page contains a single entry from the blog posted on September 15, 2008 12:01 AM. The previous post in this blog was 9/11 Lights on the Williamsburg Bridge. The next post in this blog is Tar and Feather: Williamsburg Photo Erotica.